Andrew and Christine Duyvestyn have been untiring in their efforts to raise money for CIKA. 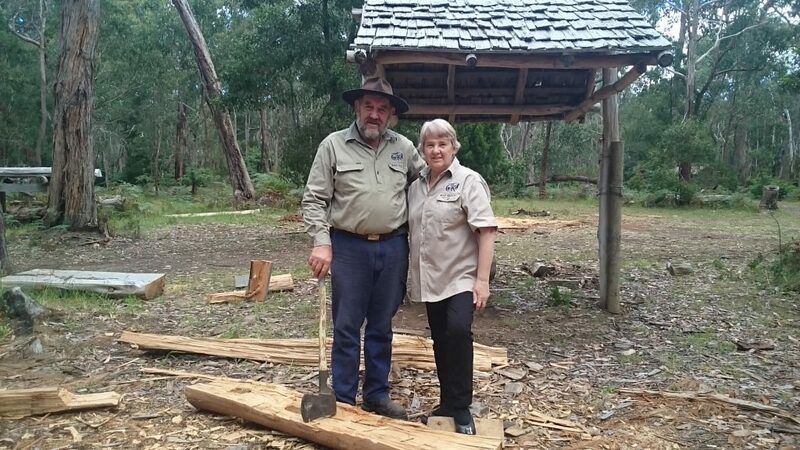 In the twenty two years during which they have run their Old Time Wood Days on their bush block in Western Victoria, they have raised hundreds of thousands of dollars to support research to find cures for the many forms of childhood cancer that continue to devastate so many families. Not content with this, they have organised numerous other fund raising events that have involved not only their own community but supporters all over Victoria. CIKA is so grateful for the work that they do. The Heywood Tractor Trek at the Duyvestyns’ bush block at Milltown was a great dress rehearsal for this year’s Old Time Wood Days. With support from many of the Wood Days volunteers, guests camped overnight,and were provided with a dinner (good work Dean) and breakfast. The very busy event raised $5000. 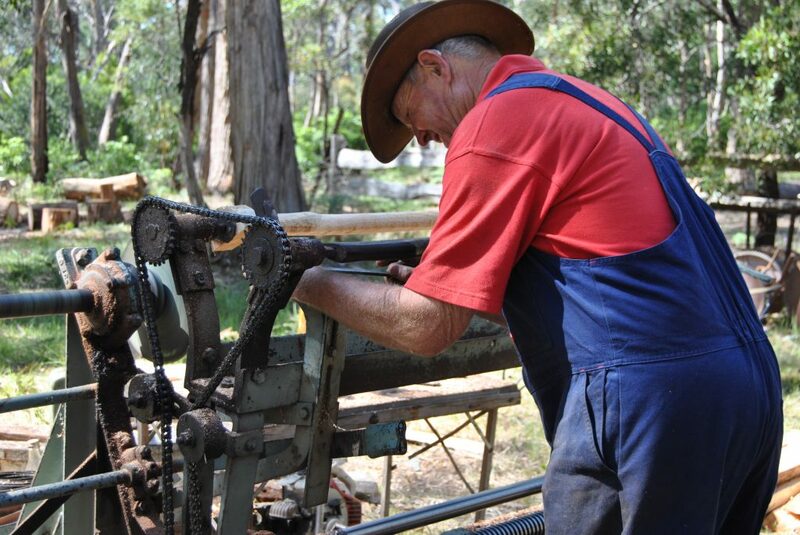 Following this very successful precursor, the 2017 Old Time Wood Days were held on November 11 and 12 in the same idyllic bush setting in Western Victoria. The following report was provided by CIKA President, Sandra Lehrer. Over twenty two years ago CIKA members Andrew and Christine Duyvestyn decided that they wanted to give back to the Royal Children’s Hospital following the successful treatment for a solid tumour of their son Dean. 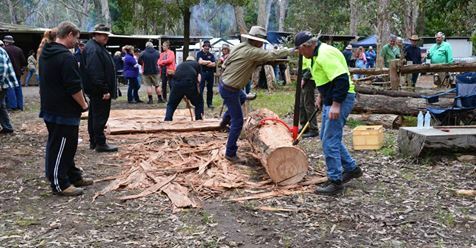 Utilising their bush block, pulling together their skills and garnering the support of family and friends, the Old Time Wood Days started its journey as a major fund raiser for CIKA. The lead up to this year’s event saw several related fundraising activities which made it the most successful ever. These commenced with a dinner at a Hamilton function centre, followed by a pancake sale at the Wheatlands Museum Easter celebration in Warracknabeal. 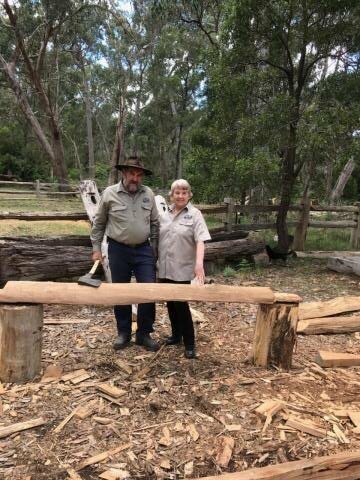 Andrew and Christine crossed the border to Mount Gambier for their next fundraiser at The Horse Saddle and Sulkies Club after which, supported by family and friends, they hosted the Heywood Tractor Trek. Rolling into the Wood Days, in August, the team started selling tickets for their monster raffle, and in the week before they threw their gates open volunteers started arriving at the bush block to commence setting up and refreshing the areas needed to run the event. This year the weather was wonderful and over five hundred and fifty visitors attended to enjoy the many displays and the fabulous food and to purchase home made goods while renewing old friendships. The Saturday night dinner was, as always, very well supported and a local band played well into the night. The live auction was a huge success and raised over $4,100. We are grateful to the many family members and friends who come together to make this event such a success. Many load up equipment and drive long distances to set up for the day. Members of the Heywood Lions Club are there both days cooking the hamburgers and sausages provided by Farm Foods. At the date of writing, The Wood Days have raised over $30,000 but this figure will be exceeded by a substantial margin when all of the calendars are sold.